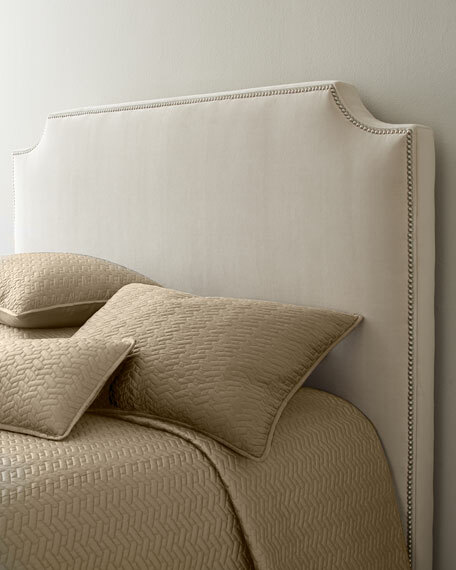 Upholstered headboard with decorative nailhead trim. Polyester microfiber upholstery on front and back. 82"W x 3.5"D x 56"T.
Boxed weight is approximately 88 lbs.